Prepping for my longest run yet - 35km on Sunday. ...and cleaning my disastrously messy house. Hope you have a great weekend and good long run! Glad you had a great time last night! I have a 6am flight tomorrow morning to go home (Michigan) for my Great Aunt & Uncle's 50th Wedding Anniversary Party! They organize dances for their ballroom dancing clubs and travel all the time and are absolutely amazing people! I hope my husband & I can celebrate our 50th in 47 years! I have my second 20 mile run this weekend. Ack! a 5k in the morning and my 3 year old's first race, the kiddos 1miler following my 5k! Long run Sunday and swimming in the pool a ton!! Hope your 20+ miler goes well! Hope your day is not too crazy! Good luck on the big run... I have a (almost) 22 miler on deck. WHeeeeeeee! Also - watch the mail again soon. I won something small that I can't use and it's coming your way. Envious that you got to go to a RLAM event! Fun! Good luck on that long run. This weekend is the Multiple Sclerosis foundation fundraising walk. There are several events around WA. I'll be walking in one event tomorrow. 3 miles. My Big Girl job torpedoed my running schedule for the week, but I'm looking at that to mean that I am very well rested for a 5K race tomorrow and my first half-marathon on Sunday! Ugh, housework this weekend. I see much laundry in my future. Just did the 3 miles around Greenlake w/ Sara and another mom who came, so skipping the gym tonight and catching up on Girl Tv Shows. Those pesky big girl jobs! They try and take up all our time. Geesshhh! Enjoy your busy day and your long long run tomorrow. I am starting my taper for the half-marathon I am running next Saturday. Running 4 miles on Sat...nothing for most, but the longest distance yet for me! :) Also going to a friend's 25th bday party, theme is 'tight and bright'....bring on the day-glo tights!!! Hope you have a great weekend! :) Have a good run tomorrow. I'll be running too, but not as many miles as you. Good luck on your long run this weekend! You'll do great! 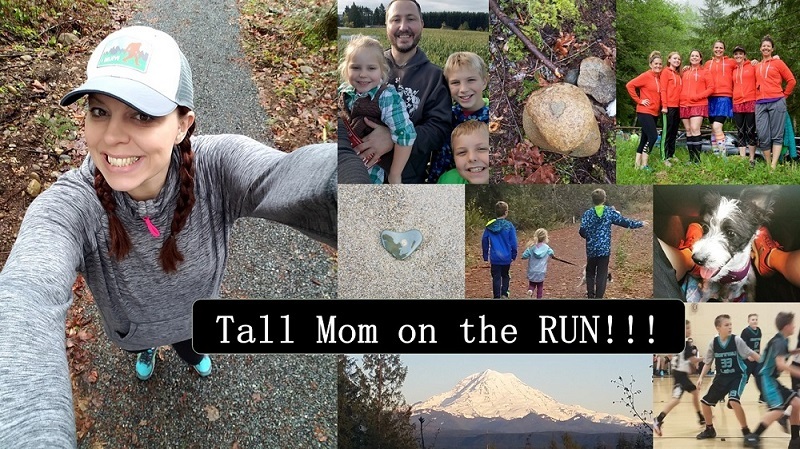 I think the Run Like a Mother book tour is coming to Milwaukee (70 miles away from Madison) - I might have to see if I can make it down to participate.